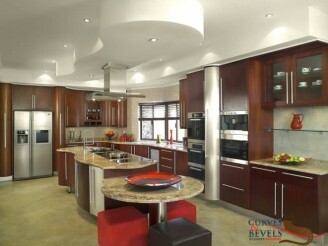 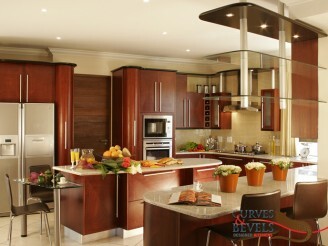 This multi-layered kitchen in a cherry veneer makes full use of the expansive architectural space creating a bold visual. 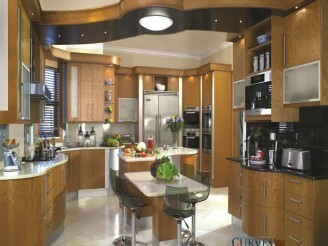 As a central feature, a bulkhead canopies the island at contrasting angles. 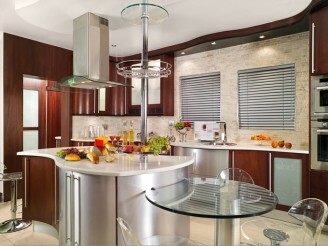 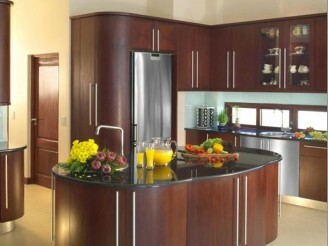 A newly installed kitchen made up of a combination of high gloss white and a bamboo veneer. 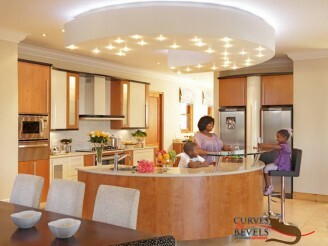 A solid veneer top on the left of the island is balanced by a white Ceasarstone round end.